Serious history here – the Chateau was founded in 1828 by Jules Lebegue, a wine merchant from Margaux. He set up a small operation in the Cote de Duras, to the south-east, and began producing wines that mirrored the wines he had grown up with. Fast-forward nearly 200 years and the winery is now under the control of Antoine Moeuix, who maintains the same blend of grapes that was being used all that time ago! The wines are honest and pure and have an edge of rusticity that ensures they taste like the place they come from. This comes about from the same time-honoured winemaking techniques being used for each and every vintage, and the grapes being carefully tended to right up until the point where they are crushed. 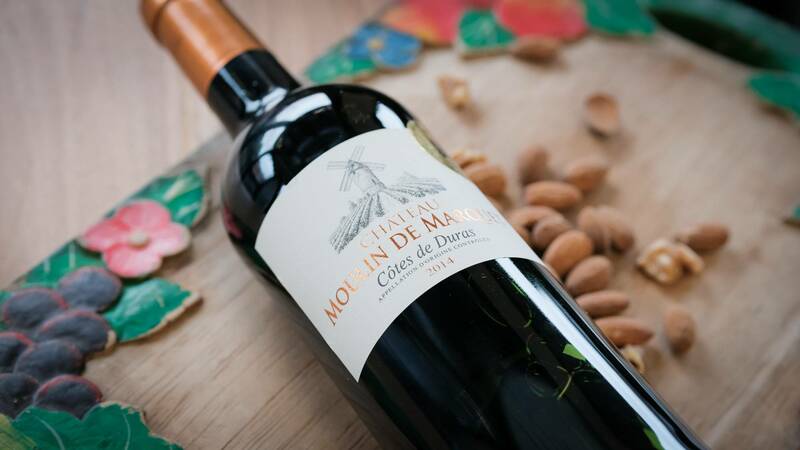 Care and patience, along with tradition, put this Cote de Duras estate at the forefront of production for the region. Serious history here – the Chateau was founded in 1828 by Jules Lebegue, a wine merchant from Margaux. Not all blended wines from the regions surrounding Bordeaux are a powerful blockbuster, as this deliciously medium-bodied red show. Light but savoury aromas of dried red fruit, some delicate florality and a hint of cinnamon/tobacco start things off and then become complex with herbal notes of oregano and thyme. The palate follows this medium-bodied kind of feel, showing some positive development – redcurrant, plum and olive, with grippy tannins. Rustic but elegant, this is a delicious drink. 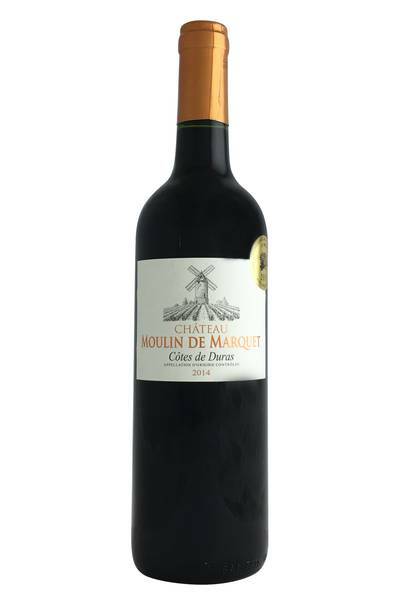 Not all blended wines from the regions surrounding Bordeaux are a powerful blockbuster, as this deliciously medium-bodied red show.